A teenage boy died of a self-inflicted gunshot wound on Tuesday at a Texas high school as other students gathered nearby for lunch. 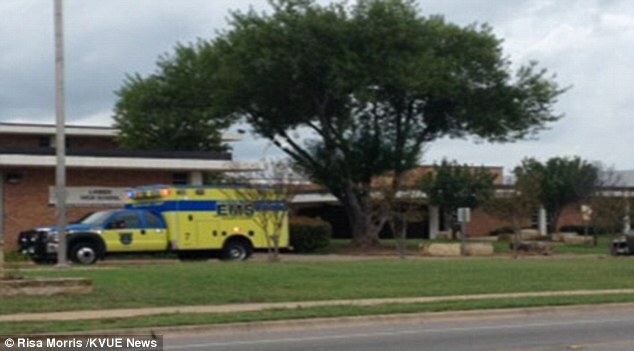 The 17-year-old committed suicide in a courtyard on the campus of Lanier High School in Austin. The school district released a statement saying that the student, who has not been identified, had died from his wounds. Junior Alex Hernandez told the Austin American-Statesman that the boy was sitting alone in a courtyard outside the cafeteria when he pulled out a handgun. A lock-down was put in place on the school campus, according to a tweet from Superintendent Dr. Meria Carstarphen. The superintendent informed parents of the tragic incident via emails and phone calls and told them they were free to come pick up their children from school. Ms Carstarphen says counselors will be provided to meet with students. The Austin Independent school district also said that they were providing buses for students whose parents could not collect them. 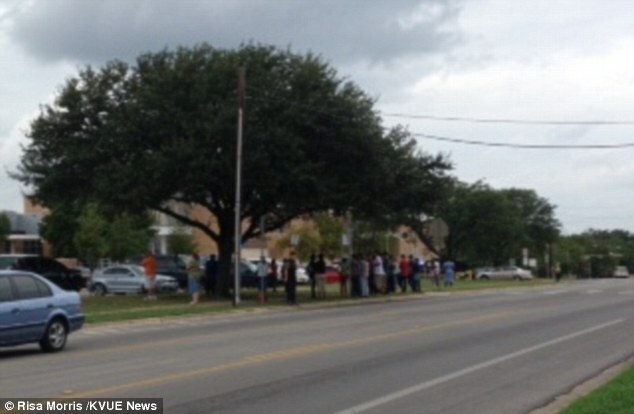 Austin Police Department initially reported that a student had cut another pupil at the school, according to KVUE. The shooting happened just before 1.30pm on Tuesday, according to police reports. According to the local station, the boy had been having problems in his home life and had previously threatened to kill himself on social media sites.